I worked with a client who asked for my help on the eve of a meeting with his financial advisor. He was very nervous about meeting her and quite transfixed on two aspects of the meeting. 2. Whether the circumstances of his finances currently would mean she would say he was a good bet for lending a mortgage to. 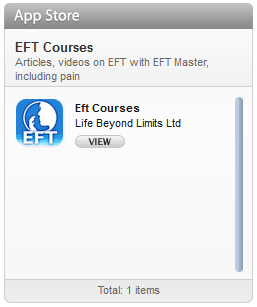 The client had already read a little about EFT and seen a YouTube video. 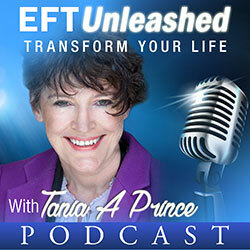 He has quite a traditional view of science and medicine, and whilst seemed open to trying the EFT process, was skeptical it would benefit him. 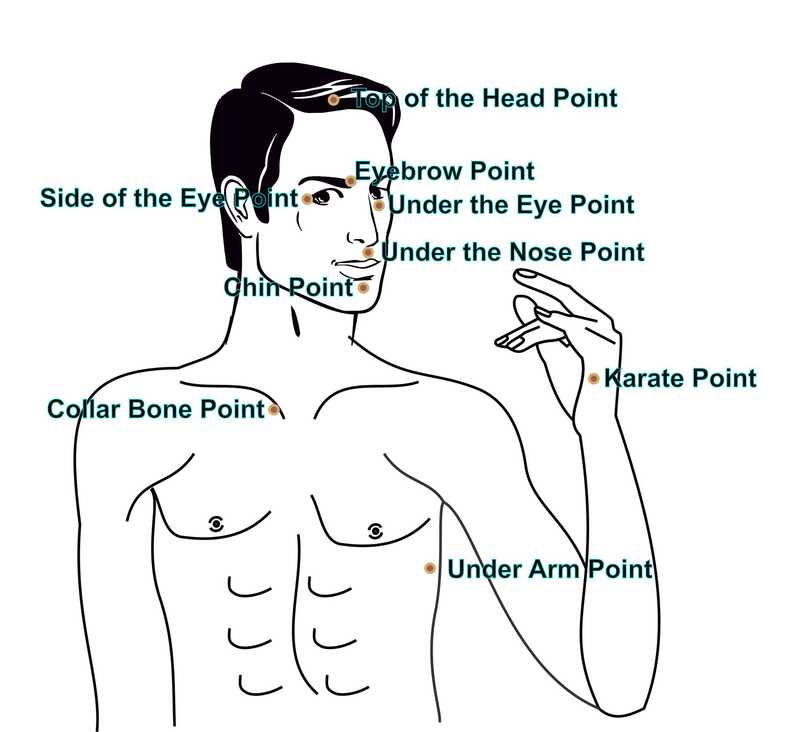 I asked him if he’d ever had acupuncture or acupressure, and he said no. 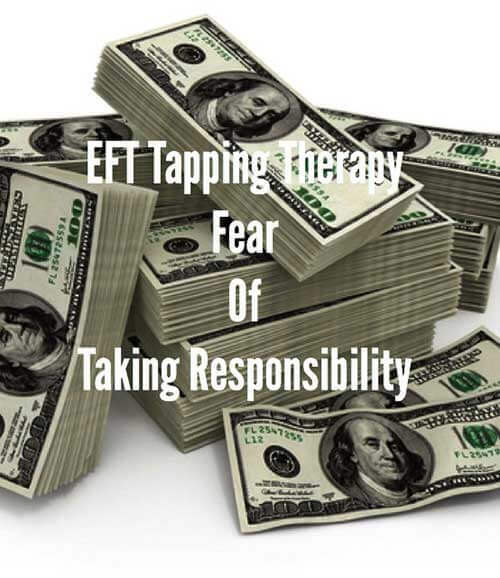 He asked me how EFT works and I explained it in terms that “it isn’t fully understood, however there are very good research results now showing the efficacy of the approach. I’ve experienced great results myself and see it with my clients too. Some people believe that the way it works is to interrupt your mind’s ability to run a problem. Because problems can be viewed as illusions created by their owners for a positive purpose, and if the original purpose is a little misguided, and not serving you now, then disrupting the flow of that problem means it won’t run in the same way. This explanation got a more affirmative nod and a smile. So you have this problem you’ve described, right? (nods) And you’d like to not have it right? (nods) If you get a good result, does it really matter how it’s achieved?” I noticed a shift in his facial expression at this point and a nodding. How about if I explain the process and take you through it and then you can decide for yourself if it’s for you? (I figured that he’d already done some research, on it and was still sat here, so he was up for it at some level. I also knew from experience that once you start tapping with someone, even the skeptics can’t resist but change). KC, EB, SE, UE,UN,C, CB, UA. I explained we may also add some additional tapping points to that sequence once we were underway. I took care to ensure the positioning of the taps was correct, based on the notes I made from the course…eg inner side of brow ridge, on the bony socket of the eye to the outside, and on the bony socket under the eye, and taking care to demonstrate and check the underside of the collar bone and the positioning of the underarm tap approximately a hand width from the armpit. He responded well to this and seemed to enjoy this precision. (I was inwardly starting to get the measure of this man’s meta-programmes, and realizing details are important to him). Once I had demonstrated the pattern, I then explained how very important it is to get a detailed understanding of the underlying issues. And explained to him that he probably would agree this is also the case with his patients (he is a health professional). How do you know you have this problem? He replied that whenever he thought about taking steps towards adult responsibility in his life, he felt very nervous and had a bad feeling in his stomach. So what I’m hearing you say is that when you think about taking steps in your life that are towards what you perceive as adult responsibility you get this problem and this feeling associated with it? Yes he confirmed. (Noted here that we’ve already moved up at least a level from the initial presenting issue). Where specifically in your stomach? He pointed to an area with his little finger. I asked him to describe that area, he said just to the left and underneath his sternum. What needs to be different to know you don’t have this problem? Well I would be able to approach a meeting with a financial advisor without feeling so uncomfortable. Ok I replied, so what would you be experiencing instead. Relaxed and happy and interested and focusing in on the questions and feeling confidence. Thank you, that’s really helpful. What other details might there be in this new situation? I’ll be able to find humour in it, he said. What does humour do for you? I asked. Makes me feel relaxed, he replies. OK, I said, that’s great. Thank you. I then wanted to understand the problem more fully (I also wanted to help the client to feel that details were being sought, as it seemed to be important to him). So can we look in more detail now at the problem? He nodded. What is it about taking steps towards adult responsibility that’s problematic for you? Try to be as specific if you can. Anything that I’ve done which is about being grown up. GCSE’s, A-Levels, doing my degree. Treating my first patient, in the practice. I asked, so what is the purpose of feeling nervous? Long pause: I think I might not be good enough. Good enough compared to what? Further lengthy pause and fidgeting in chair. I might not stack up to my parent’s expectations of me. Ok so as you think about this now, which feels more emotional for you, the feeling nervous about meeting your financial advisor or not being good enough and not stacking up to your parents’ expectations of you? He said: Parents. That’s massive. To be honest that’s what is behind how I feel about tomorrow, thinking about it. OK, so would it be ok to work on that one about your parents’ expectations of you? He said yes very firmly. I asked him to use the 1-10 scale to rate the emotional intensity of this “THEM” problem. I could already see he was running the problem as he had begun to colour-up in his face and was even more fidgety than before. So I asked him to follow my tapping and repeat the words I used too. 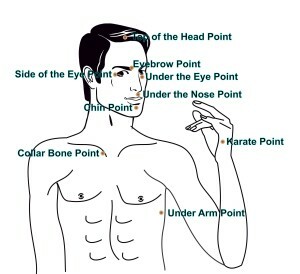 Karate Chop Point x 3 – so even though I have this “THEM” problem, I totally and completely love and approve of me, anyway. 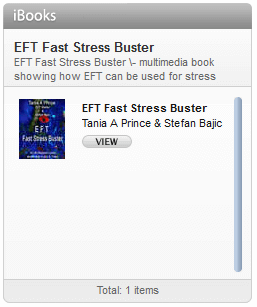 On completion of the first round of EFT, I ask him to takes some deep breaths and ask him how he is doing. He looks at me still with tears in his eyes and says it’s not a THEM problem, it’s a ME problem, although it doesn’t feel so much of a problem now. OK, so what score would you give it now then? Probably a 2 or 3 now. And is it ok to call it the ‘Me problem’ now? He nods. KC x 3 on: “So even though I have this Me problem, I totally and completely love and approve of me anyway”. Then we tapped on EB, SE, UE,UN,C, CB, UA. With “me problem” as the reminder phrase. As we got to the last tapping point, Jonathan began to smile. He paused and then said. They do it because they love me. They want the best. But I don’t have to accept it or anticipate it. I can just be me and all I can ever do is be the best I can. How do you rate tomorrow’s meeting now? He smiled, its not even getting onto the scale. It’s not there. It’s the same thing, in fact it’s interesting because I have been so focused on the questions she will ask me tomorrow, that I hadn’t thought that in fact, she’s actually there to answer my questions! I know I’ve saved lots of money. I have a good deposit and a good steady job with a regular salary, no debts, so I should be fine. But whatever happens, I’ll be able to ask questions confidently and find out what I need to know, so I can make solid decisions. So how are you feeling about tomorrow now? Very chilled and just, well ready for it. Nothing but positive to be honest. It’s going to be a really useful meeting. That’s sounds like what you wanted as an outcome (I read back his original words). He nodded and smiled. Is there anything else you need from today’s session? No, I think at least for the time being I’ve got what I came for. Maybe in the future, there might be some more stuff about expectations as I do that a lot, but right now I even feel chilled about that more generally. So I finished by saying: Just be open to noticing a range of positive ways that things might be different for you going forward. We’ve worked at a higher level than just the issue you presented with. Also remember that you now have a tool you can use to help you with any challenges that come your way. A couple of weeks later, Jonathan contacted me by phone and thanked me for the help I’d given, he also explained that he’d seen positives at work too. The meeting had gone very well with the financial advisor and he’d asked all his questions and was now in the process of buying a property. He also explained that he’d felt very relaxed going into his annual appraisal meeting which in the past had always been an anxiety-ridden experience. He felt better able to function in that meeting. I asked him how he felt now about taking what he had called “adult decisions”. He responded by saying, “occasionally I feel apprehensive, I think most people do, taking big decisions in life, but I’m an adult, so why wouldn’t I be happy taking such decisions?” We both laughed. He didn’t feel he needed to pursue any further issues at this time and asked that we didn’t keep the follow-up appointment we’d booked for a week further on. I sensed congruence in his voice and genuine delight at the outcomes and reminded him he had the techniques to use himself and he knew where I was if he needed anything in the future.